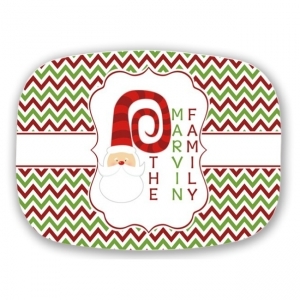 Brighten your holiday season with your very own Santa personalized platter in red and green chevron. Our trays and platters are stylish and make the prefect party platter. Our platters make wonderful gifts or use them for your own indoor or outdoor entertaining. 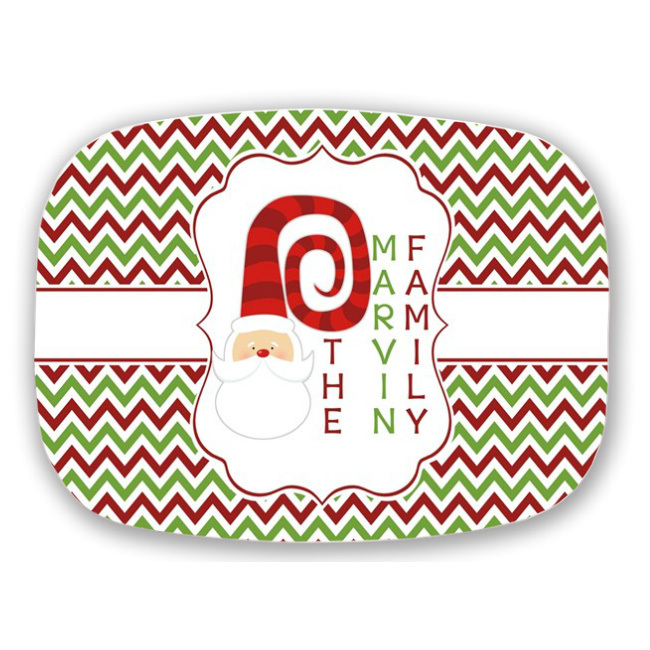 Durable melamine is dishwasher safe. Size 10x14". BPA Free.